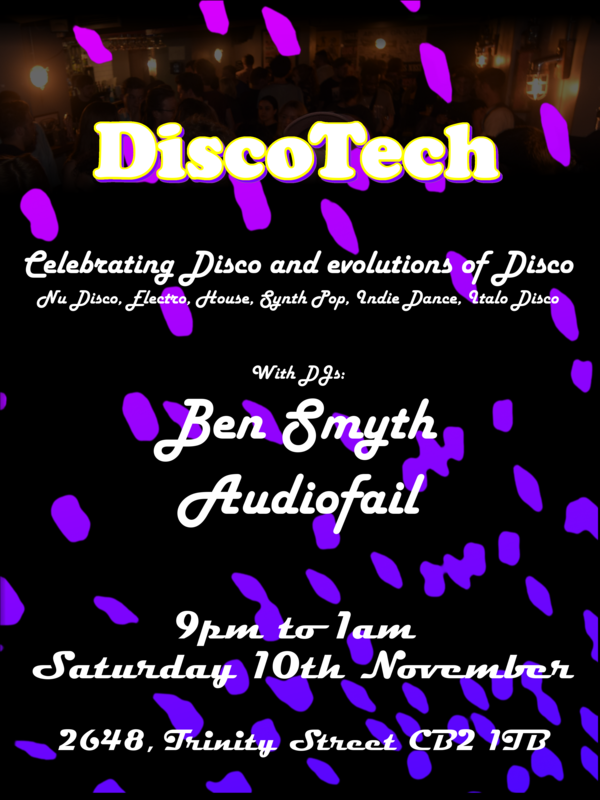 DiscoTech comes back to the vaults of 2648 for their second residency night. DiscoTech wants to celebrate Disco and the evolutions of this music genre. Lose yourself as our DJs take you on a journey through the hottest disco beats in Cambridge. Be ready to go through Nu Disco, Electro, House, Synth Pop, Indie Dance, Italo Disco and much more, with Raj.P Dj and Audiofail DJ.